One of the best things about netbooks is their reduced size and weight, making them easy to carry wherever you might go. 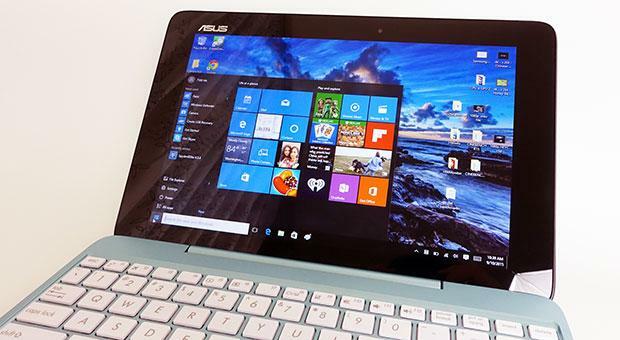 However, like most electronic devices, it is wise to protect netbooks and mini laptops as well when on the road. And while you can do that using a netbook case or a protective sleeve, some of you might find interesting this other type of protection accessories: the netbook bags. Now, like all such accessories, mini laptop bags have the main purpose of protecting your devices when traveling. But, they are more compact then regular sized carrying bags or backpacks, thus easier to get along. In most cases they come with special built compartments that can safely hold any 10 to 12 inch notebook, plus some extra space for all the things you might need during the day. There are quite a bunch of different bags for netbooks on the market right now, I’ve made a selection of some of the best, based on their popularity on big webstores, reviews posted online by experts and regular users, plus my own encounters with some of them. Of course, this selection is not a top, it’s merely a list, as each of the bags in here are good, but address different segments of customers, with different needs and budgets. This is not really a bag, but more a sleeve with a carrying handle. Comes with a zippered compartment and an extra pocket on the exterior, this one protect your netbook from scratches, dust and minor bumps. And it’s also water resistant. 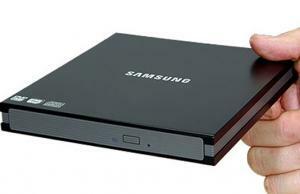 Will fit any mini laptop up to 10.2 inches in diagonal and goes for only $14.99 . 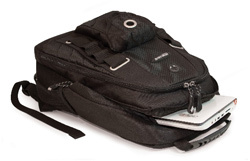 The guys at CaseLogic are known for their great protection accessories and this bag meant for netbooks and tablets under 10.2 inches is another example of top quality products they offer. Nothing fancy about it, just a compartment for the device and some extras for accessories, plus a handle and a detachable shoulder strap, all these make this CaseLogic perhaps your best bet for a reliable and cheap mini laptop bag. Nearly perfect marks scored with previous buyers and the great price (only $14.99 now, with 25% discount) also add to this bag’s pros. Like CaseLogic above, Targus are also known for their top quality protection accessories. The CityGear bag can accommodate any tablet or mini laptop up to 10.2 inch in diagonal and is constructed from nylon, with soft padded interior pockets. You have a dedicated slot for the netbook and some others, for accessories, mobile phone, pens, etc. The CityGear also managed to score some very good reviews with its buyers and Targus feel so comfortable about its quality and reliability, that they are indeed offering Lifetime warranty for it. And that’s not bad at all, considering it only goes for around 20 bucks (with a nice discount and Free Shipping). Always wanted for one of those cool looking messenger bags for your mini laptop? You can find them here, but know they aren’t as cheap as the ones above. 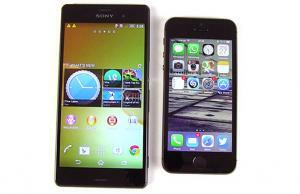 However, they do offer improvements in terms of materials, finishing and features. What we have here is a slightly bigger bag, meant for mini laptops up to 13.3 inch big. 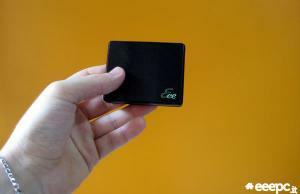 Of course, this means it can easily fit any smaller device but will also provide some extra space for other stuff you might need. This particular netbook bag is quite popular in its class, and while not looking that good in my eyes, it’s certainly reliable, with that rugged exterior finish. You can get it in a couple of different color finishes. Inside, besides the standard pocket for your laptop, you also get partitioned slots for accessories, DVDs, mobile phone and school accessories (pen, agenda, etc). So you can easily consider the Moblie Edge a bag meant for students. 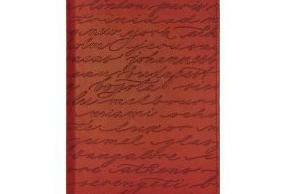 Prices vary from $34.99 to $40.99, all with discounts from the list price and Free Shipping included. 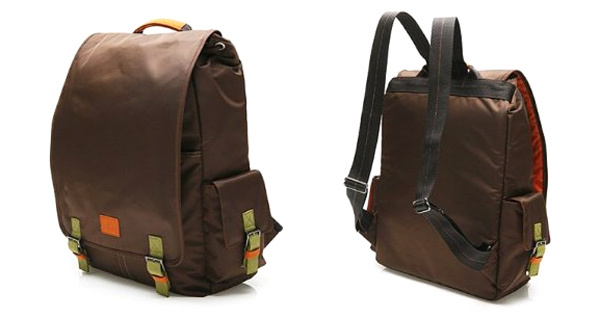 If I were to buy a netbook bag carrying bag based on first impression alone, the CaseLogic eSling will probably be the one, as it’s one of the most beautiful messenger bags in its class. Top quality materials have been used for both the exterior and the padded interior compartments that can house an up to 12 inch notebook and all you daily needed accessories and extras. Compartments can be zipped OFF and there’s also a flippable magnetic cover on top for extras style and protection. Now, the CaseLogic eSling netbook messenger bag ain’t cheap, as it goes for around 50 bucks, which makes it pricey, despite the applied discount. Still, it is one of the most popular mini notebook bags out there and managed to score excellent marks and reviews with those already owning it. And all these count a lot in my eyes. Need a small backpack bag for your mini laptop? Here you can find what you’re looking for. There aren’t many backpacks for mini notebooks on the market, simply because people often use such accessories for larger computers. Still, the Moblie Edge ScanFast backpack is one of the most popular. 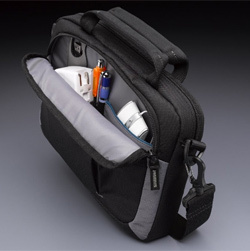 Like the messenger bag found above, this one can fit laptops up to 13.3 inches in diagonal and comes with a rough nylon exterior and soft padded interior compartment, with enough room for most of your daily stuff. 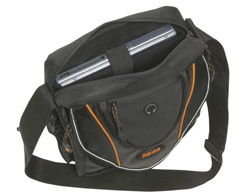 The shoulder straps are also padded and come with a dedicated cell-phone pocket. Reviews from buyers and it’s affordable price tag are the extra factors making this backpack so popular in its class. Asus netbooks are known for their stylish finishes and what we have here is a backpack meant for them, by the same producer. And you can see from the pictures it’s a real beauty. The exterior is made from nylon while the interior is padded with a soft material and protected by a drawstring and a full-flap overall closure. The backpack is specially designed for the Asus 1005HA EEE PC, but it can easily hold any 10 inch or smaller netbook on the market, plus the required accessories for it. Besides the main compartment, there are also some smaller ones on the sides and flap. Now, this Asus backpack is definitely pricey, as it goes for $69.99 (with a 15% discount applied). But if money are not a matter and you’re looking for a great looking bag for your compact 10 inch notebook, this is for sure an option I woudl recommend. That’s about it for now. I’ve tried gathering together in this post above a couple of different types on netbook bags, from hand handle sleeves to messenger bags and mini laptop backpacks. I’m confident you will find at least one of them suitable for what you need and like. But if not, also see this list of bags for netbooks and mini laptops on Amazon.com, all available online with great prices and in most cases, discounts and Free Delivery. Of course, I’m sure there are some other great bags I’ve failed to mention, so if you find anything interesting, please share by leaving a comment below. Also, if you guys have any experience with a particular compact bag for netbooks or the ones above, we’d all appreciate your input. So don’t hesitate to post a comment if you think it will be helpful to the ones of us looking for a netbook bag right now. 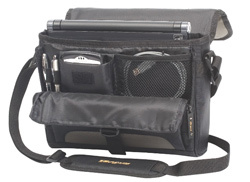 Just like to add this netbook bag into the mix as I brought one for my 1215N a while back and it does the job! Costs around £12 here in the UK, is very spacious inside and I was able to fit everything in that I needed for a day at University (netbook, notepad, wireless mouse, charger, pens, calculators etc).